Water Cutting Is the process of high pressure water being forced through a small nozzle producing an extremely clean and precise cut. 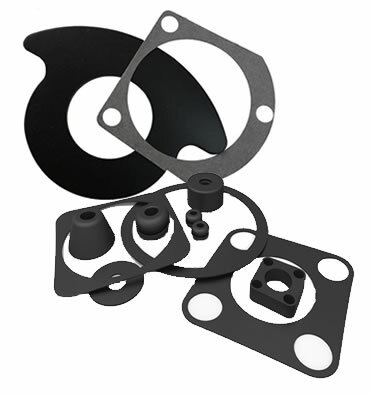 An advantage of water jet cutting is that it allows gaskets to be tightly nested maximizing yields. Water jet technology offers extremely accurate cuts of complex and intricate parts, efficient use of materials and less compression distortion. Another benefit of water jet cutting is that it is an excellent method for producing prototype and test parts or short production runs. It is also a very clean process, with water as the only byproduct.